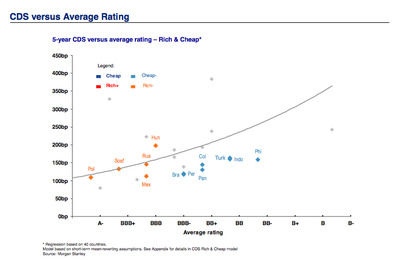 Morgan Stanley (MS) helpfully offers up this chart of emerging market CDS spreads vs. their credit ratings. The line in the centre is the mean to which the CDS would likely revert. 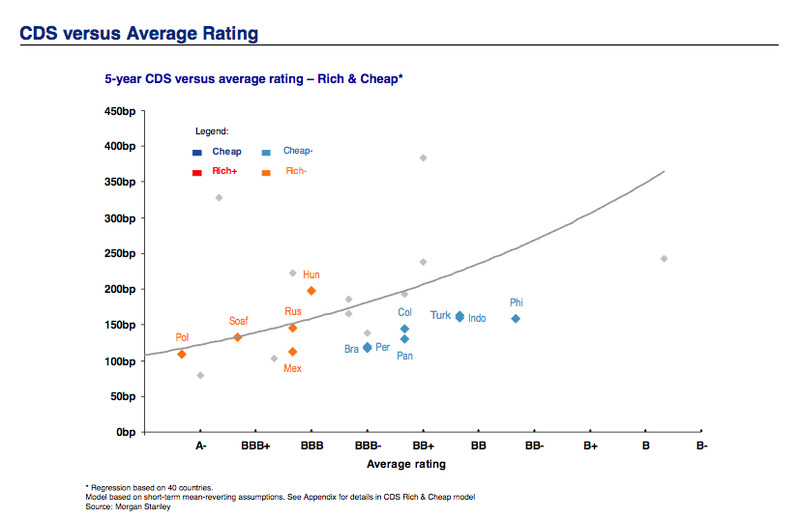 The firm’s belief is that the recent rally in sovereign credit has made CDS protection for the lower rated countries (Turkey, Indonesia, the Phillip nes, etc.) cheap again.